View our 3D Showcase which uses Matterport® Technology and experience homes as if you were actually walking through them. A revolutionary tool that offers a full 360 degree view that captures images and depth. Take a self—guided tour 24/7, view the furnished floorplan, or a 3D model of the home. Buyers love it! Sellers should insist on it! Say goodbye to Virtual Tours. Gulf Shores Realty brings you the future of real estate TODAY! 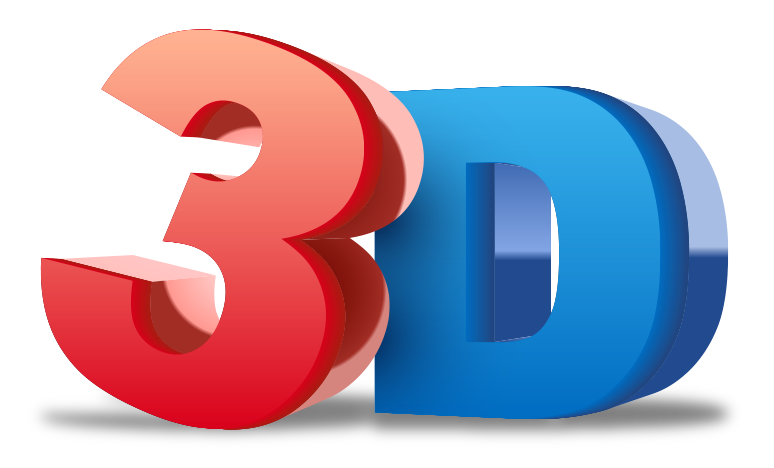 List your home with Gulf Shores Realty and we will provide a complimentary 3D Showcase Tour. Gulf Shores Realty is committed to providing you with the best real estate experience. Our website, GulfShores Realty.com gives you access to ALL LISTINGS, not just ours. After all, when provided with the best information, you make the best choices. If you are searching for Venice Florida Real Estate, Sarasota Florida Real Estate or homes for sale along the SW Florida Gulf Coast, we are here to help. Our experienced local REALTORS® at Gulf Shores Realty are available for your questions. We have assembled a team of the best REALTORS® in Venice and Sarasota to assist you. At Gulf Shores Realty, we know more than just real estate. We pride ourselves in being experts in Venice and the surrounding area. This site has been designed to be a hub of information about local communities, exciting events, and unforgettable adventures in Southwest Florida's stunning natural surroundings. When I started looking for a home I dreaded having to deal with a real estate agent . My experience in the past has been pushy salespeople with their eye on a commission. Holly Barabas was referred by a trusted friend who had business with her in the past. Holly made the whole home buying experience a good one . I never felt pressured and she was very knowledgeable about every aspect of the home buying experience. Holly Barabas is a true credit to her profession and a wonderful person to work with !! Tom, Thank you for the kind words. We consider ourselves very fortunate to have found you to handle the sale of our parents home. Your extensive area contacts for handymen, plumbers, painters, junk removal etc, were a perfect fit for us as out of town sellers trying to manage the sale of a home needing a bit of "love" from far away. We have remarked several times about how easy you made all of this for us and particularly appreciate your staying in frequent almost daily contact-with good news or bad. Frankly, I have no idea what we would have done in several instances without you. I am a district sales manager to (20) truck dealers in 5 states, all with multiple salespeople.I will share this experience with them in the future as a shining example of sales professionalism. If you ever need a reference or a dose of icy winter weather, please don't hesitate to call! I recently sold my home on the island of Venice. This was probably my 9th home sale and I have never before written a letter of recommendation for a real estate agent. Some of my past agents were good and a few were fair, but only one has been outstanding- Lueanne Wood! Selling my home, came at an inconvenient time because my husband and I had already planned a two month trip abroad. Previously, it had taken at least three months for my home to be on the market before I accepted a contract. Not with Ms Wood as my agent! I received my first contract on day one. It was a cash offer for the full asking price; unfortunately, the offer fell through. I received another excellent offer just three days later. I was worried that I might experience hassles with my sale while I was out of the country. Little did I know that dynamo Lueanne would take care of EVERYTHING! I checked my email and the money had been wired to my bank. I returned to the USA after two months to absolutely no problems. Thank you, Lueanne, for your excellent service! I want to express my appreciation for the wonderful way you handled our purchase of our new condo. Your excellent response to our every need speaks highly of your reputation for great customer service. You and Hap are an experienced team who took care of us each step of the way from the viewing of the property to closing. Shannon worked in the sales office for the local builder who constructed our home. Building a new home involves making many decisions and Shannon answered our questions with the expertise that comes from being in the business. She kept us up to date on the building progress since we were out of town. She insured the follow through on all paperwork that we needed to review and sign. As a resident of this area for so many years, she also answered questions unrelated to home building. Where to buy furniture, lighting, best hair salon, etc. Please accept this note as thanks for all of your efforts relating to the sale of our Venice home. Our experience was fortunately short lived due to a signed contract in about 1.5 weeks after signing with you which is exactly what we were after. Your were attentive, communicated with us clearly and often, were accessible with answers to any questions that were asked and answered in a timely manner. Your professional photography was key to attracting a buyer who was capable of qualifying for a loan. Holly was very helpful and not one bit pushy like some Realtors. She listened to what I wanted and found me the exact home I was looking for. And the biggest selling points of all for me was that she took the time to show me the local amenities such as the South Venice Ferry, dog beach, Shamrock Park, and the nighttime tennis courts...those were the things that really convinced me that I wanted to locate there...and she was so convincing that we then bought a house around the corner for my daughter as well!! We still visit there once a month and will be moving there completely in February when I retire. Peter and I were just talking last time we were there that once we are there full time, we would like to take you and your Mom out to dinner to say thank you for all your help and patience. I just want you to know that Mindy D'Orazio is an awesome Realtor. She went way above and beyond when I was selling my Venice home. She help me with a lot of patience and understanding in my situation and made me feel really good about selling my home, even explained if I felt I wasn't ready then I should wait. My experience with Yany Alonso was absolutely wonderful from the time I hit the contact agent button to the closing and beyond. I always felt that she was there for me and me alone, she was always available either by phone, text or email. Even after the closing, she is still there for us, we are not from this area and she has made herself available to help us find contractors etc. I would not hesitate to refer to her my family and friends as well as complete strangers. A BIG thanks to you and Donna for all the dinners out during the year on the market and for moving everything to your garage to store until Jean could get down with a trailer. It was nice to have someone we could trust handling all the issues while I was in and out of rehab and out of state in Indiana. You have taken a big load of stress off of my mind. Thanks again and give a ring every now and then. Can't say enough good things about Colleen and her team. We purchased 2 properties through Colleen and the experience could not have been better. She saw to every detail and followed through on everything. She kept us informed of every step along the way and I cannot express how much value she brings to the table. As out of town buyers Colleen made this especially easy for us by overseeing every detail. She is not only a great Broker but she has become a valued friend. Hi Holly, Just a short note to let you know that I am delighted to have both bought and sold with you and your mum. YOU WERE ALWAYS KNOWLEDGEABLE, ON TIME, AND GOOD HUMORED. Time was never an issue. I will always be happy to return to your office. I wanted to drop you a quick line to let you know how happy we have been with Sandi. Simply put, she is excellent. She has a great personality, is extremely knowledgeable and responsive, and provides potential buyers like us with a sense of confidence when researching home options. The schedule she laid out for us on Saturday allowed us to get a very good feel for the Venice area and the different home options. As a result of what we saw, we are now working on submitting an offer for a townhome in the Gran Paradiso community. Tom Bruno stepped into a hand over lead from another agengy and took us on from a "potential" relocate to Florida to writing a deal in 5 short days! Tom made himself wide open to long days to look at it all! He is very professional and kept us in mind on every showing/potential home! Part of the joirney is to look at all homes in your budget to qualify or disqualify potentials and Tom was good with seeing what avenue we were headed in! He was quick to learn and listen to our needs and when we were veering a little off path he put us back on track! Great guy and would recommend Tom to anyone!!! Thanks Tom , my wife and I look forward to being friends and fellow Floridians!!! We love our realtor, Elzia Phillips! She made our return to Sarasota a pleasure. With her help we were able to buy a villa, sight unseen except for a few pictures. She kept us informed by phone, internet or letters, answering hundreds of questions immediately!! She was very knowledgeable about the local real-estate market. This gave us confidence in the transaction. Elzia was very patient and understanding. This villa is just right for us and we are thrilled to be living in Sarasota, again! Arlene, thank you so much for all of your time, effort and energy on our behalf. Not only did we end up with the perfect home for us in the best community we could imagine, but you saved us a lot of stress finding just the right communities to look at. I can tell you spent a great time of time before our meeting, organizing the day, lining up homes to look at and booking appointments, and on top of that you seem so happy to do what you do. The day was enjoyable not only because I was excited but because you truly care about what you do and your clients happiness. Thank you, thank you, thank you. Colleen is honest, conscientious, hard working, excellent communicator - just a wonderful professional to work with! We had no intention of buying a condo at this time. But Arlene suggested sending us some properties to look at. She never pressured and was very professional. When we did see a few places that looked good and decided to come and see them, Arlene organized well-planned viewings. We did make an offer! With the help of Arlene, our offer was accepted. When there was a little bump in the road, Arlene was right on top of everything. She made sure that all details were handled properly, even though we were 1,400 miles away at the closing. We could not be happier with the service we received from Arlene. She is highly recommended. Marietta is the best we worked with her to purchase our new home in Island Walk. After showing us some resales in Island Walk and some other communities did not find what we wanted --we knew exactly what we wanted and her very quick suggestion was we should do a new build and that is what we did. Marietta stayed with us thru the transaction, sales, design I really loved having her input. Marietta did a walk thru with us and saw we did not have a doorbell which got fixed immediately. I cannot say enough good about Marietta just a delight to work with and would use her again in a heartbeat, have already passed her card to friends who are thinking about relocating. Sonya has been very helpful. When I email her she responds quickly. Every week she sends me listings to review. I have asked her about specific properties and she is very honest and to the point. When I first toured Grand Palm where we purchased our new home, it was with a different Realtor but that agent brought Arlene along since she is so knowledgeable about the community. Since that time it has been Arlene who has kept me updated on the progress of our home (we have yet to make the move to Venice), regularly sent me photos showing the construction progress, and is the agent who has asked if there is anything she can do for us. Arlene's hard work, dedication to her clients and warm outgoing personality are the traits of a successful Realtor and I would highly recommend her to anyone buying or selling in the area. Thank you so much for working with us over the last few years. We were so lucky to have you as our Realtor. The first home we purchased was a challenging situation and you helped us work through all the obstacles. We truly appreciate your responsiveness, patience and determination. Our experience was the same with the last two houses that you represented us. Thank you for working to get the Best price on a great rental investment and a beach condo. Your experience and hard work has been a blessing. We look forward to our next purchase with you by our side. This serves as a reference for Elzia Phillips, who worked with me for several months while I searched for a new home in the Venice area. I have met many realtors over the years and my experience has been that most realtors work with you for a few days/weeks, and then they “move on.” Elzia continued to spend time with me; she showed me homes as soon as they came on the market, and she always “kept in touch.” She is knowledgeable, committed and stays focused. I would highly recommend Elzia. She is a “true professional” ! 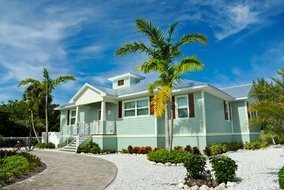 While contemplating a new residence in the Venice, Florida region, a mutual friend spoke in glowing terms and recommended highly that we seek out the services of Wayne Welsh and Gulf Shores Realty. During our first session, we were able to establish rather quickly our goals, search criteria and financial boundaries. We were then presented with a select, varied and geographically diverse inventory of options. Upon visiting and scrutinizing each potential candidate, Wayne's local knowledge was of immense importance and beneficially served to augment his many other extremely professional qualifications. Once we entered the bid, purchase and closing phases, his solid, no-nonsense guidance was immeasurable paving the way for the fast, smooth and successful acquisition of our "new dream house." We too recommend highly to others the services of one of Venice's premier real estate professionals who, aware of the less fortunate amongst us, also donates to charities. Being new to Venice and Florida, we could not have found a better person to help us find a new home. Joseph not only made us feel welcome, but went above and beyond our expectations. He listened to what we were looking for and helped us find the right one! His honesty, integrity and patience was so appreciated. Joseph always responded to our inquiries quickly and followed up as promised. We trusted him so much after our 1st purchase that we returned to him to help with a purchase on a 2nd property! We highly recommend Joseph! Joseph is very professional with every attribute needed for your successful deal. Aggressive, responsive, and always available on the phone. We highly recommend his expertise in getting you to a quick closing! I just want everyone to know that my husband & I found Tom Bruno on line through Zillow back in April 2017 when we were looking to move from Nashville, TN to the Venice Florida area. Although Tom had not met us personally he was very pro active in sending us multiple homes for sale in the Venice area where we were looking to move. We finally sold our home in TN & moved down to Venice Florida in November 2017 where we finally got to meet Tom Bruno face to face. I have to say that our experience with Tom has been awesome! I highly recommend using Tom Bruno for your Florida real estate needs. Exceptional experience! My wife and I have been searching for a condo in Venice Florida for several years. We were extremely fortunate to become acquainted with Linda Williams as our real estate agent. She goes above and beyond to locate that “special place” that you can call home. She is dependable, courteous, friendly, knowledgeable, flexible, excellent communicator and articulates expectations regarding the entire buying process from searching properties, making an offer, negotiating, and completing the deal. Thank you Linda! David and I have enjoyed working with you in selling my sister's house. We certainly did not expect to get it sold in such a quick time frame, considering the housing market. We were impressed with your integrity and pleasantness. I was particularly impressed with your donations to the charities. I have been involved in the building business for 40 years in Maine and have NEVER experienced the quality of service and attention to detail that was provided by Matt. An absolutely wonderful experience and I would highly recommend Matt and his office to everyone. Michelle was always available to answer questions, make sure all timelines were met and even after the sale keeps in contact. It was my pleasure to have Michelle as my realtor. I suggest you contact Michelle to help you with your home purchase or sale. It is our pleasure to recommend Elzia Phillips as your Realtor. Elzia handled the sale of our home in Calusa Lakes. Elzia was always attentive to our needs, had our best interests at heart, and did not push us in any direction. Although we closed our transaction over a year ago, Elzia has continued to stay in touch with us. We trust her judgment so much that we’ve recommended her services to friends. You will never find another Realtor who will listen and hear your concerns – and do it in a professional way. Marietta is the person that you want on your side when purchasing a home. She was quick to help us on a holiday weekend. She guided us through the whole process. You can just tell that Real Estate is her thing and we loved working with her. She is sweet as Molasses! I will be using her to sell my other home in the near future. Call Marietta if you want the best. I am so happy that Jan and Sam were there to assist me in the sale of my home. They treat you like family. You will have a very hard time finding better people to work with. They take their time and are more than willing to explain things to you. Thank you Jan and Sam! Thank you for all your help and caring professionalism to ensure Steve and I were well taken care of and to make sure everything was in order for our new home. You will always be highly recommended as a Realtor and one of our newest friends. God Bless. We wanted to thank you for all your hard work in finding us such a wonderful home. Your patience, professionalism and kindness were greatly appreciated. My husband and I live in Shanghai, China. We have always dreamed of settling in the Venice area of Florida. We were searching Venice, Florida real estate and found https://gulfshoresrealty.com. Our Realtor quickly responded to our emails. She was knowledgeable, professional, and provided professional customer service. She made the house buying process easy! We absolutely love our home! I would highly recommend Gulf Shores Realty to anyone looking to buy in the Venice area!!! We recently sold my parents' home after my father's passing. Elzia was vital to our being able to complete the sale. The house sold at market price before it was listed. She was our lifeline in this process as we do not live in FL. She referred great contractors to work on the house, and was available at every point. We never had an issue that she wasn't able to solve. We would highly recommend her to anyone selling or purchasing property. Before we started working with Stephanie we were feeling very discouraged, as we had worked for two years with two other agents to try sell our home, and felt like giving up. We decided to take a chance on Stephanie, and that decision turned out to be the best one we made. She had our home under contract in a little over a month. (It would have been less than 24 hours, but the buyers were quite indecisive!) Stephanie's personality, work ethic, knowledge, and ability to produce quick results made her the obvious choice for selling our other two homes, one of which again she quickly got under contract. Any questions or concerns would never once go unaddressed, and she made herself available to us at any time day or night. We highly recommend Stephanie and Gulf Shores Realty to anyone interested in selling their home, or buying a new one! I honestly wish she could be my agent for the property we are buying out of state! She has still made herself available to help me for any questions I've had on the purchase of my property out of state. This makes me feel like I have someone in my corner in making such a huge move! In all our dealings with Realtors over the past years, we have never met anyone as helpful and energetic as you have been. Without hesitation, we would highly recommend your service to anyone who is looking for an experienced Realtor who cares about getting things done and doing them right! Thanks for taking such good care of us, we couldn't have done it without you! Teresa sold 8 properties for us! As a first time home buyer and now home owner, I would like to express my gratitude and appreciation for the work and effort put forth by Holly Barabas and Gulf Shores Realty. I would highly recommend Holly and her team to anyone looking to invest in real estate. My time is valuable to me and working long hours made it difficult to make things happen in a timely manner. However, this was made easier with her diligence and contacts. Thanks for everything Holly, you are greatly appreciated and valued. From the moment we met Jan and Sam, they put us at ease immediately, easy going "no pressure" agents. Their professionalism and perseverance were never ending, making the entire buying process a pleasure. Excellent service! Wonderful Agents and Gulf Shores Realty We could not be happier with our new home. Thank you Wayne for the quick and easy process. You made buying our new waterfront home a lot of fun and hassle-free. Since we live out of state, we are forever grateful to have found an honest real estate agent who knew the Venice real estate market so well. You were able to market the unique characteristics of our home to sell it quickly for a great price in a time wrought with foreclosures. Lueanne, we feel so blessed to have you handling our home purchase on Venice Island. You seriously are one of the most professional, kind and caring women we have known. I hope you know that we consider you a friend too and we appreciate that you have guided us through the process of purchasing this home. Its truly amazing that you sold us our condo about 20 years ago and now we have met up again. Talk about hitting the jackpot. Also, thank you for listing our waterfront lot on Venice Island. We know we are in excellent hands. As overseas buyers, we used Matt Ritter as our Buyer’s Agent and were very pleased and impressed with the service we received. The biggest benefit we found is that Matt takes the time to understand the sort of lifestyle you are seeking, and the type of property you are looking for. He then helps to focus your search to the right areas to save you wasting time. He also helped in directing us to local services, and the best places to buy the things we will need for our new home. You made buying a house such a rewarding experience. Your guidance made a situation that could have been cumbersome so pleasurable. We quickly learned to appreciate your experience and intelligence, guiding us through all the steps. You certainly are an A+ agent, and the donations you make to charity speak to your humanity. Just a note to say THANK YOU for everything you've done! It was such a pleasure working with you- your positivity, humor, knowledge and hospitality- made this experience a stand out! You went above and beyond- and I really appreciate it! We couldn't have purchased this home without your help. Even though I'm out-of-state, you made everything easy! Thank you for your thoughtfulness & patience & knowledge & help & humor & stamina! Thanks so much Elzia! Holly was integral in finding me my home in the area. I was moving down from Tampa and was not familiar with the area very well. I know I wanted to be somewhere in Lakewood Ranch vicinity, and she found one of the best priced deals per square foot on the market at the time and I bought it! I can't believe you sold my house within two weeks and at a price that was favorable relative to market conditions. I am very impressed with your professionalism and enthusiasm. I would gladly recommend your services. . . Thank you so much to Matt Rittter of Gulf Shores Realty. He went above and beyond our expectations. We were given honest, timely feedback every step of the way. Matt was always courteous, professional, and reliable. My wife and I can't say enough about how impressed we are with our entire experience of both buying and selling our home with Matt. I would normally throw in some constructive criticism, but I have none! Personal and professional all the way! We couldn’t have found a better Realtor. Sandi is professional, personable, so very patient and an absolute pleasure to work with. She was always on top of her game. She went above and beyond to find us the perfect home. When we first contacted her we thought we knew what we wanted but Sandi found us exactly what we wanted without us even knowing it. Our new Florida home is perfect. We couldn’t be happier and we owe it all to Sandi Ward. We can’t thank you enough. If you need a Realtor, we highly recommended Sandi at Gulf Shores Realty. Yany was both responsive and knowledgeable in our effort to find a "snowbird" condo in the North Port area. Our phone calls and emails were answered promptly. We knew we could rely on Yany and her support staff when it came to the negotiation stage. She was on our side throughout the whole transaction. We would definitely recommend Yany for any prospective buyers or sellers. I have dealt with several real estate agents over my 15 plus years in the Sarasota area and none have been more professional, responsive and results oriented than Sandi Ward. I have no hesitation recommending. Thank you so much for taking the extra effort to make my purchases successful. You were there guiding me through all the crucial and important steps! You really listened to what I wanted and found exactly what I was looking for! I bought 7 properties from Teresa. She is a pleasure to work with! Thank you for all your help and support. We couldn’t have done it without you. We had the pleasure of working with Matt and Jessica Ritter as our buyers’ agents as we searched for and purchased our new home and we most highly recommend them. They are very knowledgeable of the local real estate market and are very observant when going through a property. We were amazed at how responsive and proactive they are. They always returned e-mails or phone calls within hours. They knew immediately when new listings came on the market and arranged for us to see the homes very quickly – at times, even the same day. They checked in with us during the process to ensure that we did not miss any dates or actions that we needed to take for everything to go smoothly. Plus, we enjoyed spending time with them and rather miss them now that we have made our home purchase. And although we have closed and are in our new home, they have continued to stay in touch to see if there is any way that they can help as we get settled. AMAZING!!!! Buying our home was one of the all time best experiences! Brian and Daniel took care of everything for us. Excellent service!! Highly recommend this team!!! Very helpful. Never dropped the ball. I would recommend her. Good service after settlement, included my family in all conversations. It took us a long time to decide but she showed patience with us and never tried to pressure us, we appreciated that. Marietta, helped us find our new Home in Venice Florida. During the 4 days that we spend looking for homes She was Knowledge, Friendly and above all a good representative of us wherever we went looking for a house. If anyone is looking for a good agent in the Sarasota area I definitely recommend giving this amazing agent a call. My husband and I live in Boston and we recruited Arlene to set up some showings for while in Florida. She was able set up a jam packed day of showings for us on short notice and we were even able to close the deal before we left! We were very happy! We recently had the good fortune of working with Stephanie Behling on the sale of our property. We found her to be so easy to talk to and deal with, very knowledgeable and enthusiastic, and a lot of fun too! Stephanie exhibits a very caring attitude and kept us relaxed and fully informed throughout the entire transaction. We most definitely recommend this little ray of sunshine to anyone planning to buy or sell! I met Jim while considering a move to Venice and meeting with him for several days before realizing that I had too many issues in California to give up. He sure does provide Exemplary Service, and he puts his background in Home Remodeling to great use in finding homes of both value and integrity. He enjoys the technical side of real estate as well as the human side. If you have not met Jim, you are missing a humorous, witty, clever man who is driven for Professionalism of the highest quality! We interviewed numerous listing agents before choosing the team of Matt and Jessica Ritter. It was a no brainer. They came prepared with an analysis of comparable properties and a proposed listing strategy. What was more impressive was - after evaluating our property, listening to our thoughts they did their homework and adjusted accordingly. Matt keep us informed throughout the entire process, was no nonsense, professional, thorough and always responsive. Their job did not end once we were under contract staying involved throughout the entire closing process. As a result our home was sold quickly at our desired price and closed without a hitch. My husband and I both agree that working with the Ritters has easily been one of the best choices we have ever made. They successfully sold our condo quickly, patiently worked with us through the process of looking for a new property & ultimately helped us buy our dream home. Individually Matt & Jessica both possess their own amazing strengths and talents in their field and together they truly make a dynamic team that is genuinely committed to their clients' best interests. They demonstrated knowledge in all aspects of real estate and consistently provided us with thorough, accurate information and answers to our questions on the spot or used their resources to get us the information we needed within minutes. The willingness to say "let me get you that answer" and not just provide a response is not always common in a sales-based business, but was testimonial to the honesty and integrity by which they conduct business. Those traits were also exemplified in the manner in which they never pushed a decision upon us, but instead guided us with their expert opinions only when the potential for us to make a less than ideal choice was presented. The Ritters are exceptional realtors, but most importantly to us they are truly good people. They are both outgoing, kind and passionate about their work. They genuinely have their clients best interest at heart and will go out of their way to ensure their happiness and well-being when it comes to all aspects of a real estate transaction. There were many opportunities throughout our experience where they could have easily persuaded us to make a purchase, but instead they demonstrated their integrity by consistently making our needs and well-being the top priority. We highly recommend them to anyone interested in buying or selling a home. Daniel and Brian are nothing else than absolutely professionals. Very detail people and hard workers. Our experience could not be better. I will recommend that if you are looking for the best realtor in the area, then contact Daniel and Brian. Simply the best in the business! Thank you so much for all you have done in making my dream come true. I really appreciate everything you have done for me and my family. I want to thank you for sharing in the joy of my owning a “new home. Well, we made it even though our Short Sale purchase took 2+ months! I am very pleased with the home that I am renting to the mother and daughter that were there before. I am thankful for your follow through, patience and communications. I needed to hear your weekly reassuring comments that we were still 'alive' in the process. Thanks, too, for your skill and help with that door replacement we did on the side of the garage. Keep your eye out for another good one under $75K. Colleen did an amazing job for us. Since we lived out of state, she handled all the things that had to be done. Joe is the real deal! He was a professional from start to finish. He was patient in our hunt for the perfect home, and never tried to rush the process. He gave honest opinions when asked and went way above and beyond the typical responsibilities of an average realtor. He is not an average guy. He truly was an extraordinary guy to work with and I will never even think of buying or selling a home with anyone other the Joseph Toth! If you’re looking to buy or sell your home, look no further than Joe to get the job done in a timely and professional manner. I knew that you would be the one who would sell my dream home on Robert's Bay, in Venice. And, then when I saw how nicely and informatively you set up my home for showings, any day of the week, and then hosted 15 Open Houses in 4 months, I knew you were the one! I hated to sell the dream but I had to, and it sure eased my pain as I watched you operate with full professionalism. It helped a lot, too, knowing that you would not entertain 'lowball offers' and would show the place liberally to find that right buyer. AND YOU DID SO IN SPADES! Thank you again and again, Jim! Sonya is currently our real estate agent and we've ha a very positive experience with her. Her attention to details and her knowledge of the area are amazing. I would highly recommend Sony Myers. I chose Marietta for two reasons when I was selling my house in Englewood, FL. My sister-in-law used her to sell a house as well as to buy a house, and the fact that Marietta works for real estate company that has a positive reputation. Marietta is above all a professional. She dresses appropriately for her job, is impeccably neat in her appearance, giving the buyer or seller a positive image. She is friendly, courteous, respectful of one's home, and gives feedback from any showings. It is a pleasure for me to highly recommend Marietta as a real estate agent. I strongly recommend Marietta. Wayne spent the entire weekend showing us homes that met our initial criteria. He never once wasted our precious time. He continuously discussed what we liked or disliked about each house so that he could refine the search criteria during the course of the day. He also completely respected our looking style and picked up immediately on the amount of time we needed to look at each prospective house. I truly cannot imagine a better realtor experience. If you want to sell or buy real estate, Wayne Welsh Is the agent you want to work with. Wayne is a real estate professional; he worked with my brother and I from beginning to end on selling our property. Our mother passed away and neither of us knew what had to be done to prepare or sell her house. Wayne met with us immediately and worked hand in glove with us throughout the process. Wayne researched the current real estate environment and recommended ad selling price. his experience in the field allowed him to answer all our questions and to make recommendations on how to prepare the house to show best. With Wayne's guidance, advice, customer service, and proactive approach our house sold in a troubled financial environment in a timely fashion I highly recommend Wayne and his staff of professionals to anyone interested in acquiring or selling any parcel of real estate. This letter is to let you know how much my wife and myself appreciate your help in locating our house in Venice, Florida. We would especially like to thank Matt Ritter for both his professional and personal efforts to match us up with what we wanted in a community and home. Matt took us through a short sale process answering our many questions and providing us with up to date reports on the steps in the process. This communication was very helpful when purchasing a house from a distance. I have purchased nine houses at different locations across the country during my life and Matt is the best realtor I ever worked with. He is very professional, knowledgeable, and his answers always correct. I would highly recommend Matt to anyone who is searching for a home. Thank you Matt for your help, hope to see you around Venice in the future. We have known and worked with Marietta for almost 10 years. Not only did she help us find our home in Venice, but she gave us suggestions on how to stage our home in Lee County to sell during a declining market (and it worked) as well as interviewed realtors for us in Indiana and Illinois to sell properties there. Everything she suggested was to our advantage. When we opted to downsize and buy a condo, she scoured the listings and FSBO and eventually found our current home that the listing had fallen through the cracks. Again, she went above and beyond to sell our home for just about full price in record time. She even assisted us in finding a short-term rental while we were renovating. Marietta was in constant contact with us, for the short time our home was for sale. We would recommend her to friends and family only if you want the very best realtor there is. Someone who will guide you through everything from pricing, negotiating and closing. Our experience while working with Stephanie was extremely comforting! She was very supportive of our decisions and we never felt rushed. We spent countless weekends traveling in multiple cities throughout the process. Stephanie was always available and helpful with her personal knowledge of the areas. I would and will absolutely recommend her to friends and family in need of an agent for future buys. Great job! Colleen did a really excellent job on my purchase of a condo - great attention to detail and always patient and knowledgeable. Would recommend her highly. Jim Listed my Home after doing several complimentary repairs and found the buyers through his frequent Open Houses! I was so fortunate to have had this handled so expertly and without hassle as I had plenty on my mind, with a recent passing of my husband and having to ship everything back to Europe! Both Jim and Donna certainly eased the pain as much as possible! Navigating the process of finding and purchasing a home in Florida can be daunting, even for a former real estate salesperson. Having a dedicated agent to serve you exclusively is a wonderful advantage, and when that person is Tom Bruno, the advantage is greatly enhanced. Tom worked tirelessly to help us find a home, and his tips and resources were invaluable. He told us he really enjoyed problem solving, a trait not common among agents, and he proactively sought answers to several issues that arose. Working with Tom made the buying process, if not painless, at least much less a chore. His endless enthusiasm and contagious sense of humor made visiting homes an adventure rather than a tedious task. We cannot overstate the value of his experience and background knowledge to our home search. His familiarity with the area, geography, population, and nearby facilities and amenities helped us find a home we love after just two weeks of looking. We happily give Tom Bruno our highest recommendation, and we urge you to use his services. Our experience with Matt and Jessica Ritter was outstanding. They are professional and excel in all aspects of the Real Estate business. They are not only professional, they are honest and truly care about their clients. Matt was extremely responsive to our every need, processed our purchase in a timely manner and has complete knowledge of the local areas. We recommend Matthew Ritter if you want to enjoy a positive real estate experience. Sandi was a great Realtor. We were first time home buyers and Sandi made the experience smooth and was quick to answer any questions we had loved her and Gulf Shores Realty. I'm so glad I used Gulf Shores Realty to sell my condo. Wayne and his staff were easy to work with and very efficient. The photo's he took were the best I've seen in any realtor's magazines or ads. I highly recommend this agency! Thank-you!! Michelle and her team did an awesome job listing our home for sale. The professional pictures and 3D walk-through of our home was a very innovative offering, and definitely helped our listing stand out. Thank you! If you are looking to buy a house or condo in Venice and you don't use Marietta as your agent, you are making a big mistake! My husband and I have been dreaming of owning a second home in Venice forever. 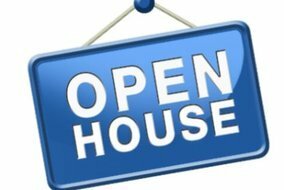 We have been in touch with different agents over the years and bumped into several at open houses. That is how I know from experience when I say that Marietta Ashcraft is the best if you are looking to sell or buy in Venice. She knows all the neighborhoods, she listens carefully for what you are looking for, she is very accessible and was very patient with us until we found the perfect house. And believe me, we probably asked her to show us at least one house or condo in every neighborhood in Venice until we found the ONE! Marietta is very professional and honest. She has been in the business for many years yet is still excited every day to go out and help look for houses as if she is looking for her own family. If you want an agent in Venice that is experienced, patient, knowledgeable, honest, friendly and, in the end, a professional negotiator, I would highly recommend that you give Marietta Ashcraft a call. We are so thankful that we did. She is the best!! Linda found me My new home! I purchased my last home 40 years ago, so I had many concerns and questions. Linda said “there are no silly questions”... She answered every one of mine. Linda made the buying process easy. Having been in the real estate business, I have had multiple dealings with realtors. Wayne Welsh has extensive experience in problem solving and has always "got the job done." Wayne is an unselfish man you want to be connected with. We were most fortunate to be connected to Tom through Zillow. His dedication to our search for a condo in the Venice area started prior to our arrival. While in FL he devoted his entire time until we found a property right for us. His knowledge of real estate and attention to detail, as well as the follow up with regard to our questions and concerns provided us with a very rewarding experience. We would definitely recommend Tom to others looking for real estate in the Venice area. I would like to express my sincere gratitude for your help in the sell of my home. You possess the unique ability to take a complicated real estate transaction involving multiple parties to a successful closing in what seemed like an insurmountable situation to accomplish. You took time to patiently explain the process, and took measures to keep me well informed, and help guide me through the maze of the necessary documentation required. I was extremely impressed with your expertise and professionalism in this matter and I wanted to express how grateful I am for all of your help. We greatly enjoyed working with you on the purchase of the property in North Port. We look forward to working with you again. I was particularly impressed by your ability to accurately predict the value of this unique property and that you went above and beyond doing special research so that all requests for information and support were met on a timely basis. I would gladly recommend your services to anyone. . .
As a result of the efforts of Shannon Thinnes, we purchased a home in Venice, Florida. I want to personally inform you of the services we received from Shannon. Her attributes are as follows; she acted and dressed professionally, she showed up on a timely basis for all appointments, answered all her questions, her knowledge was exceptional, always greeted us with a smile and made us feel comfortable in her midst. As a direct result of her efforts we have recommended numerous other prospective buyers to Shannon and both my wife and I thank you for her service. Excellent service. Matt took care of many issues that most Realtors don’t take the time to do. He handled scheduling of all inspections as well as being there for each one of them and addressing all concerns regarding the purchase of our new home. We live out of state so it was essential that we have someone we can trust. I am most thankful for our great new home in a wonderful community. You stuck with us through such a stressful process. Thanks for “taking care” of us when we needed it the most. We are both so grateful for all of your guidance, patience, warmth and understanding. Venice Realtor Matt Ritter is truly a superb Realtor. I had never purchased or sold real estate before meeting him. Due to some extraordinary circumstances I bought a house with Matt and sold it within a year. And we sold at an 8% profit! Having both bought and sold real estate with Matt, I say with confidence that he is invested in his clients, he cares about their success, no question is too small for his consideration, and he will work feverishly to make sure that your deal goes through smoothly. I trusted his advice and valued his opinion along the way. When working with a Realtor, you want to know that they will be objective about the good and the bad of what you will potentially buy. He was just that–objective. He never let me get too excited about something that I would be unhappy with later. In the end, I saw his wisdom and it was of tremendous benefit to me and my family. If you’re buying in the Venice/Sarasota area, you need to seriously consider Matt Ritter. Our experience with you as our real estate agent was flawless. You made our buying experience effortless. You and your lovely assistant were patient and understanding, and treated us and our family like family. I thank you, Jim, for being so helpful throughout the many steps in Contract to Closing. Being fairly challenged physically, I don't know how I would have managed to get to the attorney twice, the bank once and to closing, itself. I was not aware that REALTORS also could be so helpful and take the time that you did, Jim, to thoroughly explain all of the details of Contract and the HUD losing Document. I hope to see you often! She is very thorough knowledgeable and generous with her time. We recommend her highly to anyone looking for a house or condo. She was readily available by phone and internet and spent many hours showing property in Englewood and Punta Gorda. Being from out of state and on a tight time schedule she arranged her schedule to accommodate us. We highly recomnend her to anyone looking for property in the aforementioned areas. We enjoyed working with you and look forward to referring our friends in need of a good REALTOR. Marietta is very knowledgeable about the Venice and West Villages real Estate. She helped price our house for the current and we sold on our first offer at full price. She was very good to work with on selling our house. I was fortunate enough to obtain Holly as my Realtor to buy a home in Englewood, Florida. She was always professional and very knowledgeable. I would recommend her to anyone to buy or sell a home. If I decide to sell or buy a home again, I would most definitely use Holly as my Realtor. Anyone would be lucky to have her as an employee. Thank you for helping us purchase a wonderful vacation home. We were impressed! With no notice and two days to find us the perfect home. You were amazing! Then to top it off, you gave 10% of your commission to our favorite charity. This really made an impact on us. I loved the idea and our family had a fun time deciding who would receive the money. When you think of Stephanie, I think of her huge smile! She makes you feel so comfortable. She is one of the hardest workers I’ve ever met. In August of last year when my husband and I decided to put our house for sale. We had no clue how this process went and had only bought a home once 15 years ago. Before she even knew if I was going to choose her, or her Broker Gulf Shores Realty. She spent time chatting with me on the phone about the things that we needed to do to get the process rolling. She and her husband even came over one night to inspect the home and give us an idea of things to work toward. In a matter of months, with their suggestions we were ready to put the house on the market. Gulf Shores Realty and Stephanie Behling were prompt in getting us up on MLS, a sign in the yard, and professional pictures online in days. Friends and relatives warned us that we might not want to use someone that I already knew. Knowing how Stephanie is made it that much more comfortable for us. When anything came up we always felt like we could contact her and she would get right back to us. She would walk us through any of our questions and get us answers as quickly as possible. Our process was seamless and we had a contract within the first week. She closed that deal with ease. Without a doubt we choose to work with her for the purchase of our new home as well. We looked at multiple listings, running around in the rain....Cracking jokes and enjoying each other’s company. She made it so fun. (I think we ran her ragged) She didn’t waste our time pushing a properties that didnt work for us. Or showing us properties that weren’t right. She was on the ball and so much fun to work with. We did find our dream home. That transaction went as seamless as the first one. We will recommend Gulf Shores Reality over and over. Please choose Stephanie, you won’t regret it! Many thanks for your professionalism, help and cooperation in expediting the sale of our villa. We really enjoyed working with you, your cheerful enthusiasm and certainty of success was always there for us. Mindy worked with us for over a year to find the perfect home! She offered many suggestions, most of which we ended up following after doing things "our way" which didn't work! She was very patient and understanding and really wanted us to find our forever home! We would like to let you know about the terrific experience we had with real estate agent, Matt Ritter. We made a purchase on a short sale condo in Punta Gorda, FL from our hometown in Joliet, IL. He went way above and beyond expectations in helping us make this purchase happen. He handled all the closing for us while we were still in IL, as well as so much paperwork, emails, etc. We have purchased 5 other homes over the years and can honestly say that he was the best real estate agent we ever worked with. He also handled the purchase of our daughter's home in Venice, FL and made that bank-owned purchase work for them. Needless to say, if we hear of anyone looking for a real estate agent, we will recommend Matt and your agency to them. Thanks again for everything. Linda was very very helpful in selling our home. She was the buyer’s agent and we found her very good at coordinating the sale between the buyer and seller. she worked hard in putting it all together. Highly recommended. She was a true advocate for her buyer. When I decide to sell my current condo she will be the first one I call. A friend recommended Elzia Phillips to us when we decided to sell our parents’ home. We are completely grateful to her for making our sale painless. After Elzia analyzed the current market, we priced the villa to sell quickly. She was always available and took care with every detail. We couldn't be more satisfied, and highly recommend her to anyone who asks! Michelle was a god send. She was patient & really listened to what we wanted. We have found a great neighborhood & a wonderful builder. Our house won’t be ready for a few months but I’m very confident in Michelle & that she will be there for us through the rest of the process. She did an excellent job in answering our questions and finding out the things she did not know and got the answers promptly. She was very professional and personable. She was very honest and helped us walk through the maze of closing. Thank you for your patience with us in looking and then finding “our special home.” We are so glad to be back in Calusa Lakes. We have so many friends here and feel very content. God has been with us thus far and I trust He will continue to lead us. And if we should ever need a Realtor or someone to trust, we know you’re only a phone call away. I have used Linda Williams TWICE. Once to help buy a home in Osprey and another time to help me find a good realtor to use in Orlando to sell my daughters condo. Linda is very thorough and professional. She has a genuine interest in her client's needs and takes them seriously. She is no pushy in any way, but instead is kind, caring and fun to be around. I would highly recommend Linda for any real estate transactions needed. We are sending this letter to say thank you for everything you have done and for helping us to find a home and for helping us relocate to Florida, from New York we couldn't of done this without your help.We would and will be using you again and recommending to friends and family, which we already have. If you ever need anything please feel free to contact Tammy or myself, thats the least we could do for helping us out.Thank You Again!!!! Thank you for your valued assistance in the selling process of our parent's home in Venice, Florida. You impressed me from the initial interview through to the completion of the sale. Your ability to identify what needed to be done to prepare the home for market was "spot on". I'm convinced that the sale of our home in under 90 days on the market is a measure of what your efforts helped produce. We chose you because we perceived that you possessed superior market knowledge and a persistent approach to marketing our property. Our perception was accurate. When unanticipated hurdles were inserted by the likes of home inspectors and lending agencies, you were able to create solutions. We are satisfied enough to rate your performance as a 10 out of 10. I wanted to thank you in your efforts in successfully completing the transaction on Box Turtle Circle recently. On behalf of my buyers as well, it was a pleasure to work with someone as professional as yourself and going above and beyond and "doing whatever it takes" with the substantial challenges we faced during the course of this sale. I hope we have the opportunity to work together again in the future. Please feel free to share this with any prospective clients you meet in the future as a whole-hearted recommendation of your services. Sonya was great. Gave us all info on area and local comps. Highly recommend her. Very pleasant. No pressure. Showed and narrowed our search to our specs and pace of viewing was great, not 20 houses a day. Michelle was great to work with and was always available for questions when we had them. She knows her business well and is a great agent to have in your corner. My wife and I worked with Colleen when searching for our home. We came down from the Chicago area and we had only 3 days to work with in our search. Colleen was very professional and had a full list of homes that met our criteria perfectly from the price range, size of the home and school district. We would highly recommend Colleen if you are looking for a realtor that truly cares about your needs. My Husband and I listed our home fsbo and were contacted by Yany who was looking to schedule a viewing for a buyer she had interested in the listing. She arrived early to the viewing to introduce herself and do a quick viewing before the buyers arrived. She was nothing short of professional and courteous! There was an offer made a couple days after the viewing that we chose to accept. Yany was always available to answer any questions we came across and made us so comfortable throughout the entire sale process. Since we listed the home for sale ourselves we didn't have a realtor representing us and Yany made sure to not only represent her buyers, but kept our best interest in mind as well. She was truly a dream to work with and I would recommend her for anyone looking for a realtor to work with! Tom was indispensable in helping us find our new home. He was professional, knowledgeable, and responsive to all of our questions. We felt confident during the entire process that Tom was an advocate for our best interest. We highly recommend Tom; he’s the best Realtor in town! Stephanie, listed a jointly owned condo for my daughter and myself in 2017. Stephanie was great to work with! Stephanie went over and above what we expected. She listed and the property sold in a reasonable amount of time for a price we were very comfortable with. It was a great experience working with Stephanie! Would definitely call on her again! I wanted to take a moment and highlight what a fantastic job Teresa and Holly did helping me through this process. This was a tricky two month negotiation, and for a while there I thought I would lose the house. They both jumped through a thousand hoops and stayed on top of what needed to be done. You have two stellar members of your team, and I say they should both get a raise! Than you again for all you've done. We can’t even begin to thank you for all that you have done for us. You are an amazing person both professionally and personally. We feel that this experience has been a win-win situation for us because we have gained a beautiful home, an exceptional agent and a wonderful new friend. Matt is professional, courteous, knowledgeable - and patient! He enabled us to sell our property in a transaction that was far from simple, but one that left everyone happy at the end of the day. We wouldn't hesitate to recommend Matt, or to use his services again. Waynes manner in handling everything he did for us was totally professional but at the same time was also very personal. We felt at all times that his treatment and service to us was akin to that which he would want his parents to receive from an agent. We now consider Wayne not just our agent, but a friend that we know we can rely on. Lueanne Wood with Gulf Shores Realty in Venice, Florida far exceeded our expectations as our listing realtor. This was not our first selling of a home, but was the first time we really felt the realtor knew her business, with her expertise and professional knowledge. We have health issues and she was so generous in seeing that we had nutritious meals and insisted we stay at her 801 Harbor Drive home. We highly recommend her to anyone seeking a truly professional Realtor. Lueanne, thank you for all the hard work, dedication and time you spent selling our house. Sonya Myers has been very helpful, professional and continues to help me over the last several months to relocate. Lueanne, we feel so blessed to have you handling our home purchase on Venice Island. You seriously are one of the most professional, kind and caring women we have known. I hope you know that we consider you a friend too and we appreciate that you have guided us through the process of purchasing this home. It's truly amazing that you sold us our condo about 20 years ago and now we have met up again. Talk about hitting the jackpot. Also, thank you for listing our waterfront lot on Venice Island. We know we are in excellent hands. I really enjoyed working with Shannon during the purchase of my home. She always answered my calls and questions. She was very helpful and i began to see her as a friend. I want to let you know how appreciative Mike and I are for all of your hard work in completing our sale. It has been a real challenge I know. the two of you are so knowledgeable and it has helped tremendously for us to understand the process along the way. Thank you again for your hard work and constant communication - you are AWESOME! Joseph showed great knowledge and patience while helping us find our new home. He understood that this was a major step in our families lives and he guided us as if he were guiding his own family. We truly appreciate Joseph’s hard work and his ability to get us a great deal on our Southwest Florida Home. If you are looking for a great Real Estate Professional, look no further and call Joe! I am a Canadian who wanted to sell her Florida home. Daniel and Brian were the most amazing realtors. Besides being knowledgeable about the market, my home and prospects, they made me feel comfortable with the process. I can not recommend these two highly enough. Not only did they sell my home in record time, they negotiated all aspects for me and made the experience painless and easy. A wonderful team and a couple of great guys. Recently Michelle Morgan represented us in our home buying journey. She was diligent in her efforts to finding the perfect home, in our budget, in the desired location. Not only did she find the perfect place, but she was able to bargain for us a better deal on closing costs. Professional and knowledgeable was our experience with Michelle. We give her 5 stars and would hire her again in the future! My wife has been looking for property in the Venice area for several years. Michelle contacted my wife during this process well over a year ago. She respected our wishes and sent us available properties on a weekly basis. When we finally decided that we were ready to purchase a property we came down to Florida from Ohio to look at many of the homes and condos that Michelle had sent us. She scheduled a day just for us to look at multiple properties. We found a condo that day and Michelle negotiated with the seller a better price for us. We recently closed and Michelle was with us every step of the way to help us complete the process. Very professional and did everything she could for us. Hi, Jim: We are very pleased with our manufactured home in Sandalwood Park, Venice. We have done some painting and some redecorating, and the carpet cleaned like a champ, as you said it should. You know, we were a little nervous having you represent our interests in the purchase since you were the Listing Agent as well. But we must admit that we couldn't have been better represented with a single buyers agent. We really appreciated that you acted so fairly throughout and never made us feel like the owner was your favorite. Thanks again for all your efforts in getting us a home in our favorite Park! Very professional and makes the whole process extremely easy! Especially for a first time buyer or seller. These guys make the home buying experience simple and enjoyable. They listen and deliver on everything they promise. They take their job personal and always are working to deliver and meet the high standards they expect out of themselves. They always make themselves available for questions and concerns. I am so happy I ran across these two professionals and look forward to the next home I buy with them. Please take my word and use Daniel and Brian. Joseph Toth is what a real estate agent ought to be! He represented us after we met him at the open house of the property we purchased. We could not have been more pleased with our decision. He is a consumate professional, who is the most responsive person I have ever had the pleasure of doing business with! Joseph went above and beyond on several occasions, during our transaction and assisted not only us, but assisted our attorney's office in getting pertinent information together, as well. He is a great listener, is patient and fastidious. He prides himself on being prepared and approaches a task or challenge only once he is sure that he has, as he likes to say, "all of his ducks in a row". We feel 100% confident in referring Joseph to anyone who is looking for an agent. He is not only a great real estate agent, but he's a great guy! Dan is highly professional, market knowledgeable and committed to working hard to find your dream home or to sell your current one. We absolutely love working with Dan and Brian! Communication is really important to us and they are excellent at keeping us informed. I would highly recommend choosing Dan to be your partner in searching for a home! We were lucky to have Michelle help us find our perfect home away from home! We live in Ohio and she did a great job sending me properties to review and answering all of my questions. She knew what we wanted and stayed true to our preferences. When she knew we had a small window of time to condo shop whike in Florida she made herself available to us and helped us find exactly what we were looking for! She was great through the whole buying process!!! Holly is one of the most professional, personable, sunny people we have ever worked with in real estate. She easily makes the process not only straight forward but a pleasure. We would work with her again in a heartbeat, and recommend her to anyone and everyone interested. While very familiar with the greater Venice area after many years of visiting, we connected with Holly to begin to look into purchasing a property in Venice. Holly happily arranged to show us numerous properties so we could get a feel for various communities and where exactly we wanted to be. She arranged the showings all in one day so as not to waste our precious vacation time. She then patiently waited while we downsized up north, then assisted us in pursuing a short-sale in our desired community. She tirelessly pursued this avenue with us, communicating what she knew. While that deal fell through after 8 months of perseverance, she then represented us in purchasing a new-build property still in our desired community, handling everything expertly, remotely with us. Gary G. & Georgia C.
Even though our home wasn't high-priced, Daniel and Brian treated us as if we were shopping for a $2 million home! They showed up 8 homes in 2 days. When our first offer fell through, Daniel was up at 3 a.m. to locate an even BETTER home for us! Before they were agents, they had massive experience in real estate ownership. They answered many questions before I could even think to ask. We couldn't be more impressed. You found a buyer for my home immediately and it was your professional talents and knowledge that held the deal together with the buyer. Then you went on to find my current home which is exactly what I was looking for. You really made my dream come true. Thank you so much. Colleen did a great job with the sale of my home, from walking me through the steps of readying it for sale all the way through to the closing. She has a great eye for detail--both aesthetically and in business. I felt comfortable working with her, and confident in her recommendations. She responds quickly to any questions or concerns, and has wealth of resources to assist. I would certainly recommend Colleen to anyone interested in buying or selling a home! You made buying a beachfront condo so easy. We were grateful for your patience in answering all of our questions and taking us to look at so many nice places. . We strongly recommend you to anyone looking at buying or selling a home or condo. Thanks!! Your the best! Thanks, Jim, for all the hard and professional work that you did for us in the purchase of our new waterfront home in Venice. We appreciate the extra tasks that you completed at no charge to us. We thank you and Tim Paradiso again for the lovely gift "Picnic Basket for Four" along with the bottle of real Champagne and The History of Venice book by Kim Kool. We look fwd to seeing you in the Fall! Maryann helped my husband and I find our Dream Home in Venice!! We moved here from Boston and knew a little about Venice from searching the internet and riding around looking at what neighborhoods we found desirable. We then called Maryann Regal about a listing. She listened carefully to what our needs were regarding what size home, neighborhood and price range. Her knowledge of the area and her expertise in real estate is remarkable. We met with her the next day and after viewing some homes, we immediately fell in love with one that she thought we would love and she was right!! She did not waste our time taking us on showings that she knew would not interest us. Our offer was accepted and Maryann guided us through the entire process from beginning to end. She never once failed to answer our calls and guided us through what was a very important decision in our lives. I cannot stress enough how important it was to us that she was there for us every step of the way, from negotiating the price, to the inspection, to seeing to it that we did our part in the process to have all documents needed by us in on time for the closing. I was able to contact her anytime of day and she always answered my calls and emails promptly nearly every day until she came to the closing with us. I would highly recommend Maryann to anyone who is looking for an agent who really cares about her clients and is willing to go above and beyond to see to it that you are satisfied! Honest responsive and a great person to work with. We truly appreciated all her efforts and diligence in finding us our perfect home! Highly recommended. Thank You for helping us buy our new home and helping us to sell our former home. Your help with the A/C issue was terrific. My wife Jacquie and I were new to the area and unfamiliar with all the procedures involved in purchasing a Florida home as we are from Canada. You and your wife Ida (Hap) were most helpful walking us through the home inspection process and even following up on required repairs. All of these things got done long distance. Above all you helped us feel welcome and an important part of our new community. Your commitment to the Venice community shines in all the good things you do. Michelle made the purchase of my home a great experience. She was thorough, professional, and on top of every detail. I highly recommend her to be your realtor...whether buying or selling. Michelle is super talented and is not afraid to think “out of the box” to bring buyers to the table. She made what normally is a stressful time much more pleasant. I highly recommend her! Even though we have not met in person, Sonya has been so helpful via phone, text and email. She is very knowledgeable about the area so is a great resource as we try to relocate. Sonya is very responsive and gave us lots of attention even though we are not quite ready to buy. We look forward to working with her in the near future as we get closer to our dream of buying a home near Englewood. I had, and continue to have, an extraordinarily positive experience with Daniel and Brian. If I could give them 6 stars I would, and I would absolutely recommend them and Gulf Shores to anyone buying or selling a home in the Sarasota area. I bought a relatively high-end second home with very little time to spend in the area. Daniel and Brian did everything, from identifying a wide variety of options (old, new, coast, key, inland), lining up visits that maximized my visits, negotiating a deal on the house I chose, arranging all the collateral support locally (lawyer, inspection, etc. ), and representing me in the closing. It was a flawless experience. Beyond that, however, they have taken a personal interest in my getting the house set up, minor repairs arranged and completed, and local services arranged (landscape, cleaning, pool, security). They were under no obligation to do that; it was an exceptional thing to do. I am grateful for all of their efforts. Daniel and Brian are an extraordinary team. We appreciate all Holly did to help us find a new home and to work with the title company to help us get the property closed. We are 1000 miles away in Kentucky and appreciate having Holly that we can trust to take care of us in Florida. Holly is a true asset to your company and will recommend her to everyone we know that is considering buying or selling their property. Thanks. Just wanted to take a moment to thank you for assigning Matt to help us with our home research in your area. He has been the ultimate professional since our first call into him, and during the entire week of our stay in Nokomis. He responded to all questions in a honest, accurate way and when he didn't have the answer he wasn't shy to say so but would always get back to us with a good answer. The material he supplied on the one home we showed interest in was as complete and informative as anyone could ask for. Bottom line, we loved the area, and can see us relocating there. We purchased a condo with Arlene’s help. She is willing to bend over backwards to serve a client. We were only in town to make the offer and then had to go back north. Arlene was on top of the entire process: helping with questions we had about how things are done in FL (ex. with a title agency vs. an attorney), the home inspection, any questions we had about anything, checking to make sure little things we asked for in the contract were done, attending the final walk-through and the closing. We have purchased three houses over the years, Arlene provided the best and most professional service. We would recommend and Arlene Smith to anyone wanting to purchase property in the Venice area. Thank you so much for all the time you have devoted to helping us find our vacation home in Florida. You both have been incredible, and we couldn't ask for better agents. We were very nervous when we first got to Venice not knowing the area very well. We want to thank you for taking the time to make us feel comfortable with the area before buying our condo. We are very happy and just want to thank you for all you did for us. We will use you again and recommend you to anyone we hear looking to buy or sell! Thanks! Matt is a true professional in the real estate business. The best home purchase in my 62 years! His knowledge and experience stood out the entire time we searched for my home in Southwest Florida. I do no plan to purchase another home, however if I would Matt is the go to person in this area. Tom’s performance in every aspect of our home buying process was simply outstanding. We recommend Tom, without any reservation whatsoever, to anyone who wants to enjoy a smooth and satisfying home buying experience. We’ve bought and sold a lot of real estate over the decades, and Tom is, without question, the most capable, personable, and trustworthy realtor we've ever met. Rarely does someone make an impression to motivate me to actually sit down a write a letter about it. Well Tom Bruno has made such an impression. Tom is remarkable in that he is able to cover all the bases, all the time and make it look easy. His professionalism, efficiency and natural graceful interactions are purely amazing! I’ve never seen anyone so motivated, energetic, willing and able to pull magic out of a hat as Tom has done. What he does, the way he does it you can’t learn, it comes naturally. He has a gift, he is a gift. He is a wonderful person and now a friend. Words can't even begin to express the gratitude we have for everything you and Gulf Shores Realty have done for us. We are forever thankful for having you be on our team for the past year! Your professionalism, your genuine kindness was above and beyond anything we expected. For the past year getting us into our home, dealing with the builder, Thank You just doesn't seem to cut it! You have become more than just our Realtor. You are a friend and a part of our family! You are truly the best out there and we are so lucky to have worked with you! From the bottom of our heart, we Thank You! The Srisavaththay Family, Eric, Amy & Liam. Sandi was very accommodating, knowledgeable and all around great person to have on our side as we looked to purchase our home. She worked hard for us to get the best price possible and we greatly appreciated her efforts. We were not familiar with a lot of the details in purchasing a home in state of Florida and she proved to be invaluable for us. We would recommend her all day long without hesitation. She is excellent at what she does. Maryann, we wanted you to know how much we appreciate the quality and professionalism in which you handled our real estate purchase. As long distant purchasers we needed to be sure that we felt comfortable with who we were working with during this purchase. We are very pleased that we found you to be very honest and trustworthy throughout our entire process. You impressed us right from the start with your knowledge of the real estate trends and the presentation of the entire area we were focusing on. You really listened to exactly what we were looking for in a home and helped us to achieve the end result of purchasing our home. We appreciate that you stayed on top of every detail, supported us though all the processes and answered all our questions. We have and will continue to highly recommend you to anyone looking to purchase or sell a property. On 4/17 /17 you requested permission to use a phrase found on my website. I was flattered and responded in the affirmative. I meant to write this message sooner. Apologies. I was very impressed with the integrity that motivated a request over such a small item. In my experience, those that operate on the highest moral plane for the little things, most likely do so on the bigger things to. I'm guessing your clients already know that about you, but if not, please feel free to add my comments to your testimonials. You may give out my phone number or email so any interested can verify the legitimacy of this endorsement for themselves. Best to you and yours. Sandi is consistently reliable. She delivers on what she promises. She offers suggestions that were very helpful in negotiation for the purchase of a condo. Her vast life experiences, including property management, gives her a unique perspective on many aspects of real estate. This only enhances her work. Sandi has a wide knowledge base that extends beyond a basic realtor. In addition, Sandi is a genuinely wonderful person. I made arrangements to meet Sandi and see some properties, when I came for a short visit to Florida. She was helpful with finding a place for me to stay so I could see the area and offered advice regarding local places to go to make the trip easier and more productive. She helped us handle our purchase mostly via the internet and email, but she was always available when we needed to ask a more urgent question. My husband and I have been so impressed with Sandi, can't say a bad thing about her. We cannot thank you enough for all of your assistance in helping us find a home to start out married life in. You have been so great to work with, I’m you were referred to us. Mostly, thank you for your professionalism and a high standard of ethics. Much luck with the growth of your real estate career. We know you will only become more successful. Of course we will recommend you to other people who mention they are looking for a new home. Once again, thanks for being part of our endeavor of becoming homeowners. Stop by anytime you’re in the area. Tom was wonderful! He went above and beyond to help us our find our first home. We gave him the details of what we were searching for and he was always diligent in setting us up with everything that fit what we wanted once it came up. The house we ended up just purchasing had been on the market not even a few hours when he said "This is the one. Meet me over there" and it was. He was so helpful throughout the entire process from the first house we went to see all the way through closing. Maryann is terrific, professional, responsive, great company, a top agent! She returns phone calls in a timely manner, and always goes the extra mile for whatever would be the most helpful and thorough. Her skills in negotiation could very likely make the difference between a closed deal or not. Buying and selling real estate can be a challenge, and Maryann guides you every step of the way. I would recommend her highly in any kind of real estate transaction. We cannot thank Maryann enough for her assistance in our purchase of a Venice home. The closing process was long due to extenuating title problems but Maryann kept the communication lines open between us and those involved with the sale. We believe Maryann went above and beyond in this purchase and highly recommend her as a true compassionate professional. 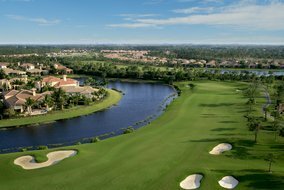 Thanks to Jim Bath, our Buyer's Agent, we feel like we are in the best location ever (Pelican Pointe) and in our terrific new ‘retirement’ home. He got us a price we did not think possible, leaving us what we needed to update. The 3-car garage is now home to our 2 Corvettes, and they are appreciative of what Jim did, as well! He was so full of ideas and contacts that our job was only ½ of what it would have been! Thanks again, Jimbo! Two words: Above and beyond. Colleen always exceeds expectations. We made 2 purchases with Colleen and as out of town buyers having her on our side made all the difference in the world. Excellent at communicating and following up on every detail. Much more than an agent Colleen has become a very good friend. Colleen did an outstanding job for my wife and I as we searched for our new home in FL while living in NH. When we came down she showed us many homes. She brought us to a new home builder in Venice, and we loved the homes. We contracted to have our home built, and Colleen was our eyes and ears on the ground throughout the construction phase. We love our new homes and are so grateful to Colleen! And now she’s so much more than just our realtor. Colleen is now a great friend! If you want a realtor to work for you, hire Colleen Waldoch!! Brian and Dan set themselves apart from typical real estate agents. Their vast experience in real estate marketing, sales and their attention to detail helps them excel. We had been considering listing with another agent when we heard Brian and Dan were now in the business. We met with them and they answered all our questions before we could ask them. We believed they were very different and better than the other agents. They assured us that they would be involved in every showing and that our listing would be their highest priority. Two days after we listed we accepted an offer! Since then, they have handled EVERY detail. (We do not live in Florida.) The closing will be completed this month and they’ve done it all. We didn’t have to lift a finger and there was no drama. We would never consider working with anyone else. They promised us the best treatment in the industry and they delivered! Gulf Shores Realty is the ONLY place to go if you're shopping for property in the Venice, FL area. Our realtor, Sandi Ward was knowledgeable, patient and always made the time for us when we were shopping for our Florida home. When we found our home she helped us navigate the process, and since we were buying a seasonal home she gave us great advice and recommendations on people and companies that we could reach out to for information and services (home insurance, a handy man, landscaping companies, etc.) - things we were going to need but no idea where to start! I can't say enough good things about her - she is simply the best there is! If you are looking for a home in the area (seasonal, retirement or if you're just looking to move to the area) please reach out to her - I know you will feel the same way we do! Thank you Sandi!!! I was referred to Mathew by our listing agent in Atlanta and I contacted Matthew to help me find a new home in Venice, FL as my family and I were relocating for my job. I explained to Matthew what I our needs were, our budget and also shared with him some of our concerns such as the market, flood zones and if new construction was our best option. Within 24 hours of our conversation, Matthew compiled a very detailed list of several homes for my wife and I to review and we loved them all. He hit the nail on the head and found a wonderful variety of homes within our budget and steered us away from the homes that were not right for our needs. 2 weeks later and it was time to see the homes we narrowed down to from Matthew’s list. We only had one day to come to Venice to look at these properties and Matthew made certain that we saw all them all and prepared a very detailed and professional packet with more history of each home we visited. The very last home was the one we fell in love with and Matthew took the lead to prepare an offer and had it ready for our review before we arrived home from our 7 hour drive to Atlanta. We ran into a problem with the contact with the seller and Matthew arranged for legal intervention and the issue was resolved in less than 4 hours, so that we did not lose any time or delay our closing date. Three weeks later and we are now in our dream home in a beautiful area and only possible because of Matthew. I am forever grateful to him for everything he has done for us and he we will forever be our real estate professional for all future needs. Thanks Matthew! I am amazed at the collaboration and team play getting Susan and I through expediently. I am also impressed with the use of technology and speed of ALL responses. This is our fifth home purchase and I can honestly say this was by far the best process we have ever engaged. Your transparency and team work by far out weighed the rest. Thank you very much to all and kudos to you. After searching for several months, and looking at several Florida properties we finally found the house that was right for us. Holly diligently worked with us and helped make the whole process, from beginning to end, go as timely and effortlessly as possible. We would highly recommend Holly's real estate services to family and friends, and would not hesitate to call on Holly for any future real estate needs in the Florida area. We would like to take a moment to thank you for the GREAT service provided in selling our condo on Golden Beach Blvd. It was on the market for only 5 days and we got 97.5% of our asking price! You also provided top notch service and follow through on everything that had to be done after the sale. We also appreciated the road trip gift certificates. What a wonderful and thoughtful gift! Please use us as a reference anytime. Just a small token of our appreciation for all that you did to help us through this ordeal. Thanks so much. I had the privilege of working with Sandi Ward on the purchase of my home in Venice in September of 2015. Sandi is an extremely competent and well versed real estate agent. She was in constant contact with with me at every step of the process, a quality that was most important to me. There is no other real estate agent I would consider using. In my book, she is the best! Michelle Morgan was my agent when I bought a condo in April of 2018. I was pleased with her efforts to show me places that I was interested in, guide me through necessary documentation, and negotiated with the other agent. Her communication follow-through is a great strength! I recommend Michelle Morgan for your future real estate needs! From our first contact, Sandi was very responsive and extremely helpful in reviewing the MANY options we had in our new area of Venice. Her insight into the different communities, their pros and cons, was invaluable in helping us to focus on those places which really matched our needs. We HIGHLY recommend Sandi for any prospective buyers! Shannon is a very smart, responsive, customer-focused professional. We worked with her when she was associated with the builder of our home. You could always count on Shannon to know what our options were, what the status of the building project was, and names of resources, etc. She clearly had our interests in mind. I would not hesitate to recommend her. We had a bumpy negotiation with a person who finally did buy our property. Maryann was there all the way through it and helped us with how to proceed every step of the way. I would use her again. Shannon is one of the most wonderful respectful people that I have ever dealt with professionally. She is extremely knowledgeable yet kind and considerate of the buyers personal requests. I consider it an honor to have dealt with Shannon twice in building my homes. We have thoroughly enjoyed working with Maryann! Her experience and awareness of the area market has helped us to buy two homes and sell one home on Venice Island in less than one year. When we found the right homes to purchase she moved immediately to help us negotiate and finalize the contracts and to make the closings easy. When we decided to sell our home, Maryann quickly arranged for high quality photos, brochures, a 3D virtual tour, and even aerial drone shots of our home. The house was marketed to perfection and led to us receiving the price we were hoping for and a quick sale. Maryann always makes herself available at a moments notice and is quick to respond to emails, phone, and text. She is friendly, upbeat and a true professional who gives excellent service. We definitely recommend Maryann to anyone who is looking to buy or sell a home! Short sales can be a difficult time for any seller. Holly took it upon herself to take all the stress and responsibility. Her diligence and open communication exceeded my expectations. She got an offer on my home within days of putting it on the market. She was knowledgeable, honest, and always returned calls in a timely manner. Without a doubt she is amongst the best in her profession but also a kind, understanding and personable person. I would highly recommend her to go the extra mile professionally, and value the friendship we built during the successful sale of my home. Please accept my sincerest thanks for everything you did for us during a most difficult time. Your efficient, expeditious and extremely professional handling of our home’s sale was greatly appreciated. From start to finish, you go well beyond the call of duty in order to get the job done. I also would like to thank you for the gifts at the closing. Your thoughtfulness and attention to every last detail does not go unnoticed. Matt and Jessica Ritter assisted us with the sale of our home in Venice. Their professionalism and expertise guided us throughout the process. We appreciated their integrity, friendliness and responsiveness when we had questions and concerns. It was such a pleasure working with Matt and Jessica that we have begun recommending them to our friends.